November | 2012 | Hand Luggage. 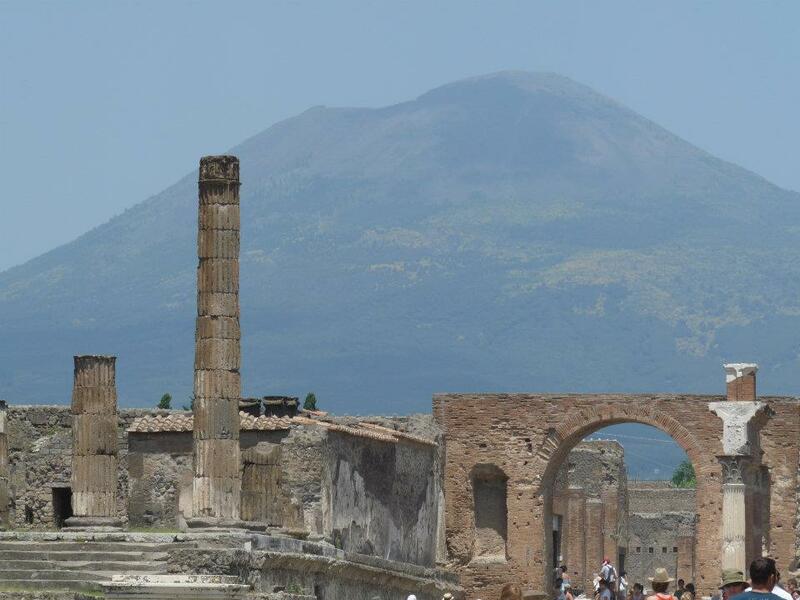 Pompeii is still in the shadow of the brooding Mount Vesuvius. 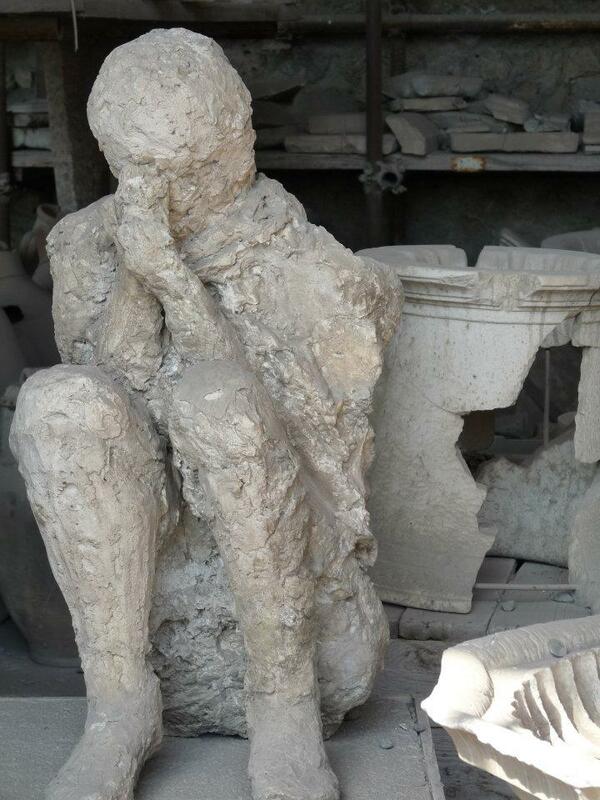 The city of Pompeii, along with Herculaneum, was partially destroyed and buried under 13 to 20 ft of hot ash, pumice and mud in the eruption of Mount Vesuvius in AD 79. 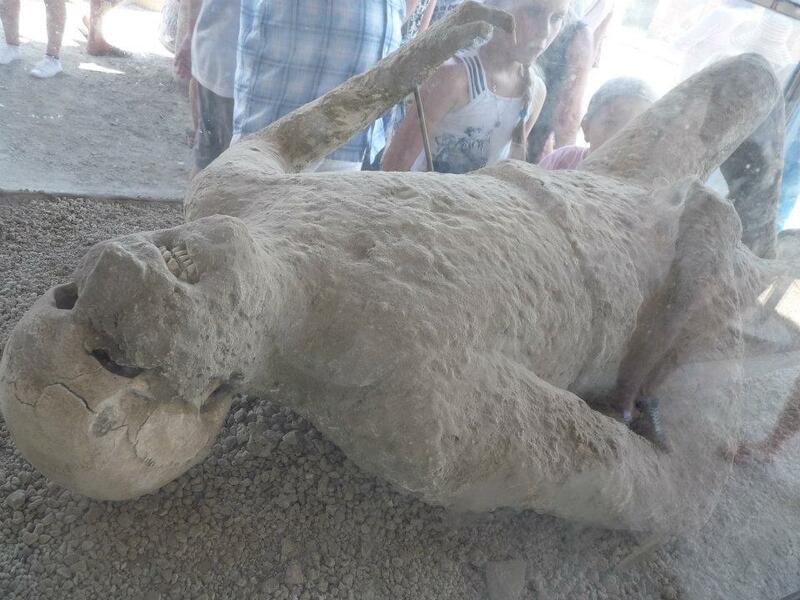 One of the tragic inhabitants of Pompeii, forever encased in ash. His teeth are still visable, clenched in fear. Another former resident is frozen in their final, terrified position. 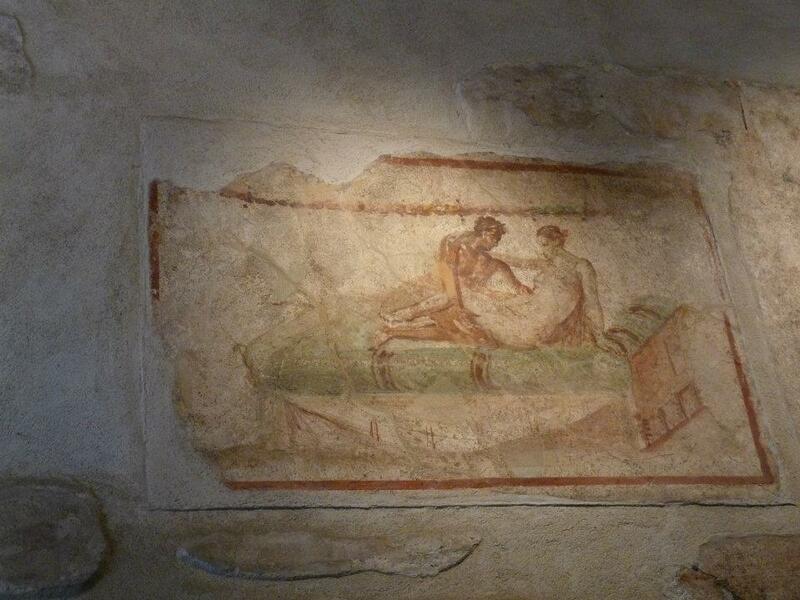 One of the preserved illustrations on the wall of the brothel. Several of them are dotted around the place, each showing one of the delights on offer for the excitable inhabitants. 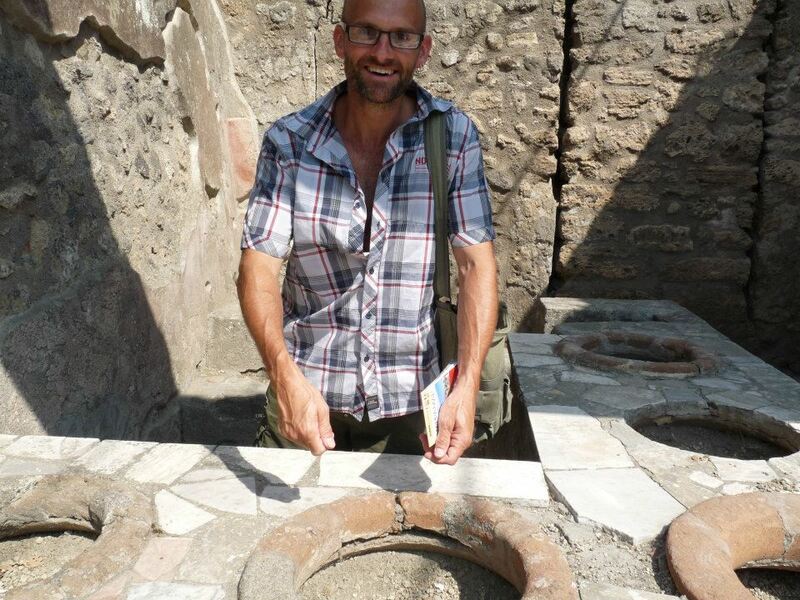 Neil tries his hand at serving in the ancient fast food joint!! 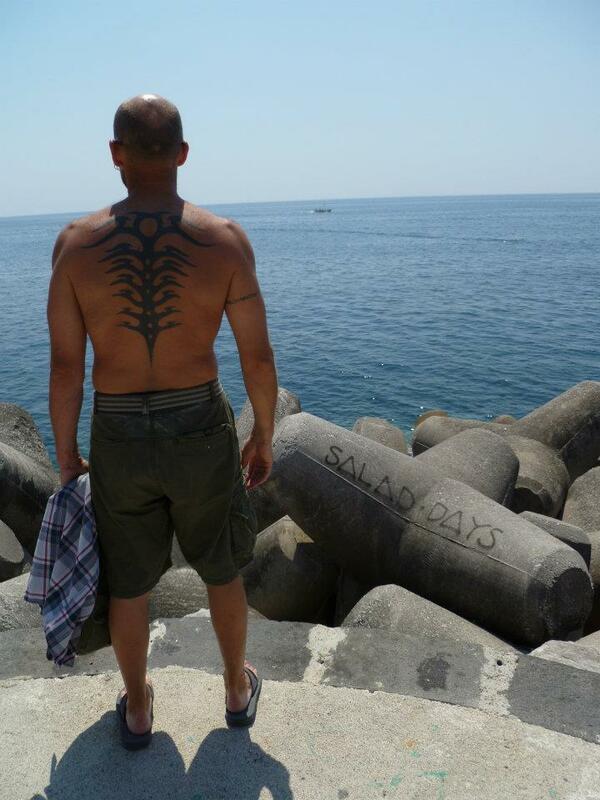 Neil surveys the view at the pretty coastal town of Amalfi. 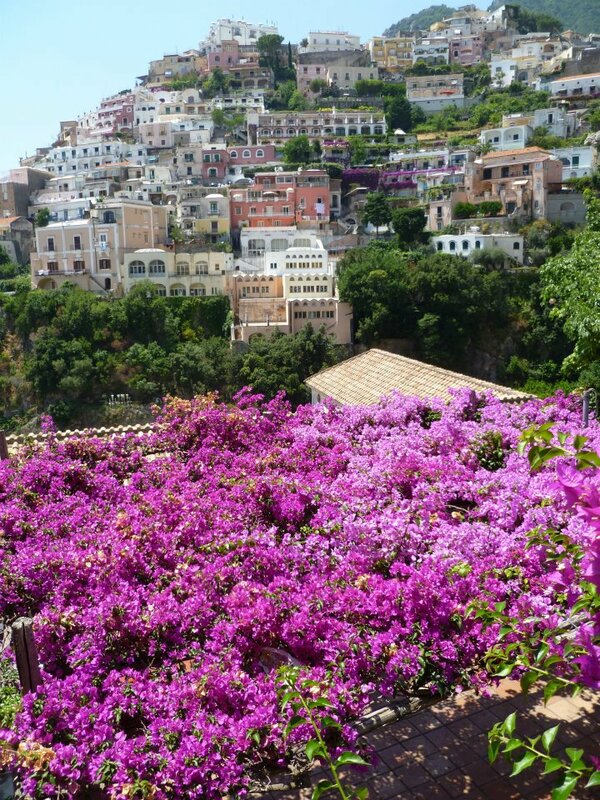 It is indeed Salad days . . . .
Here’s a different view of Amalfi, a gorgeous little piece of paradise. 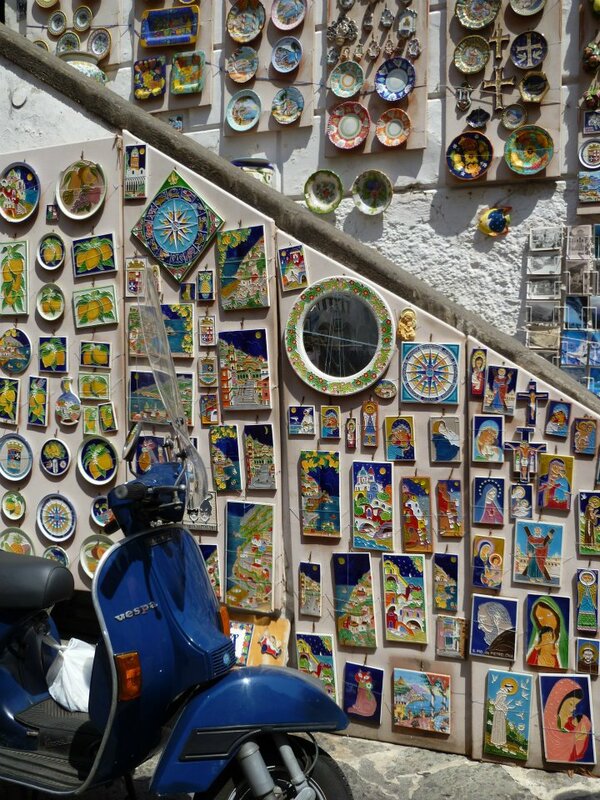 A speciality of the region – delicate, ornate little painted tiles. Next to the obligitory moped!!! 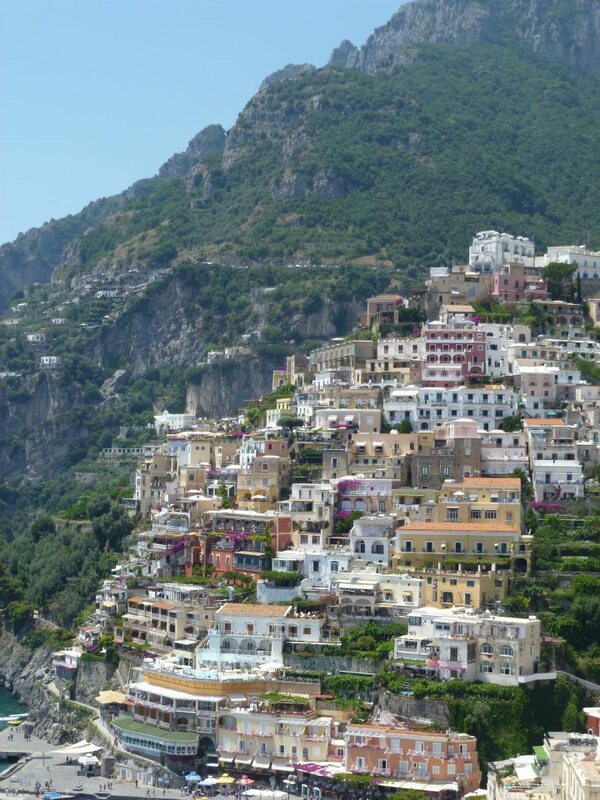 Here’s another of the beautiful little villages on the Amalfi coast – Positano. Where houses tumble down the hillside to the beach. Next we visit Pompeii, a huge site in the shadow of the brooding and treacherous Vesuvius. 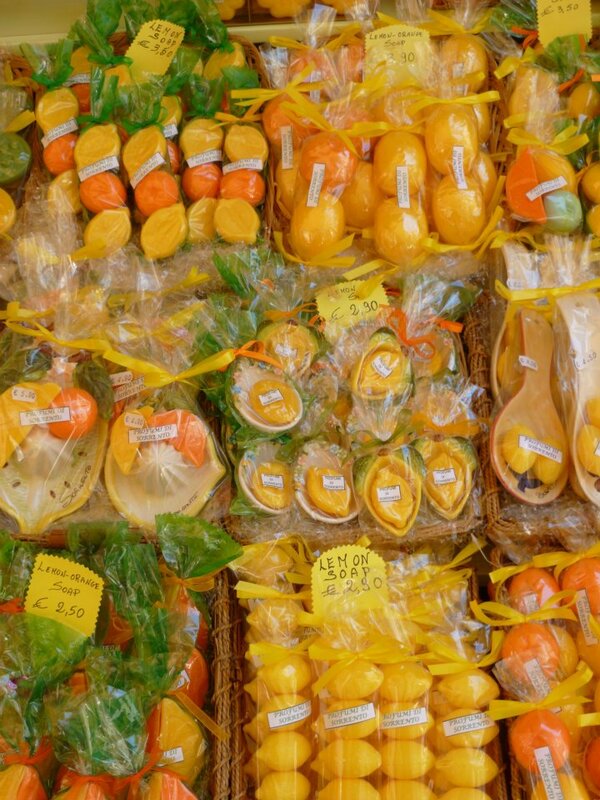 I love Lemon based tacky products and Capri and Sorrento are simply crammed full of the yellow, fragrant, marvellous little blighters. 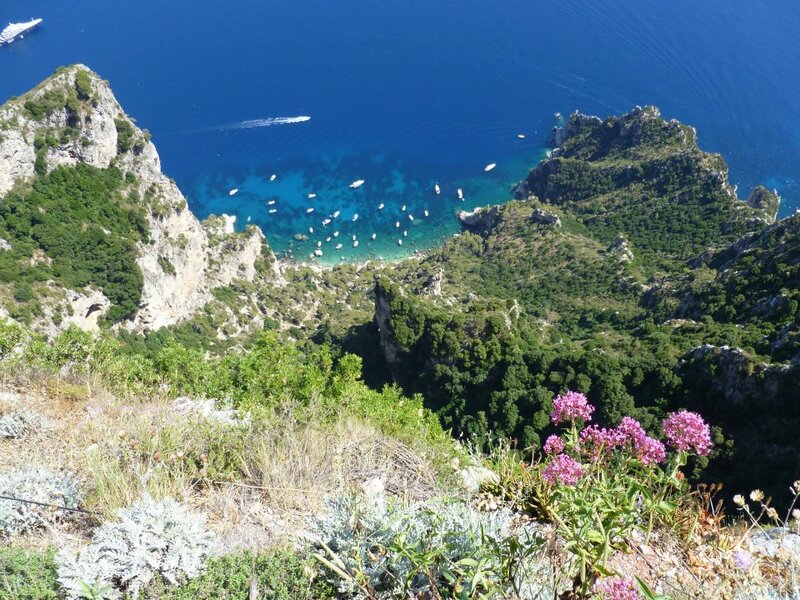 Even with its chic boulevard of designer shops – Prada, Louis Vitton etc etc (if that is your bag) you can still find a veritable cornucopia of tat in Capri!!! 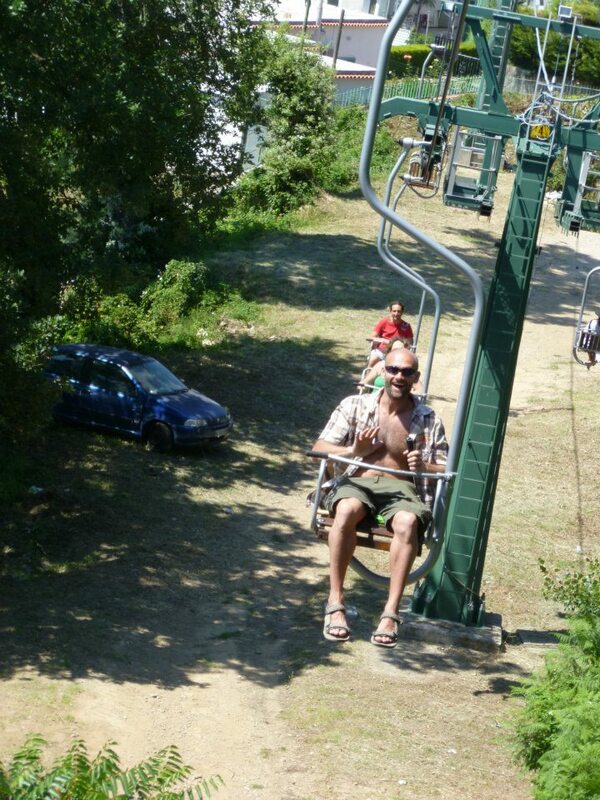 There’s a fantastic (by which I mean slightly terrifying) chair lift from Anacapri to the top of Mount Salaro. Neil looks suitably delighted by the whole experience. Pretty view – worth the fear!! 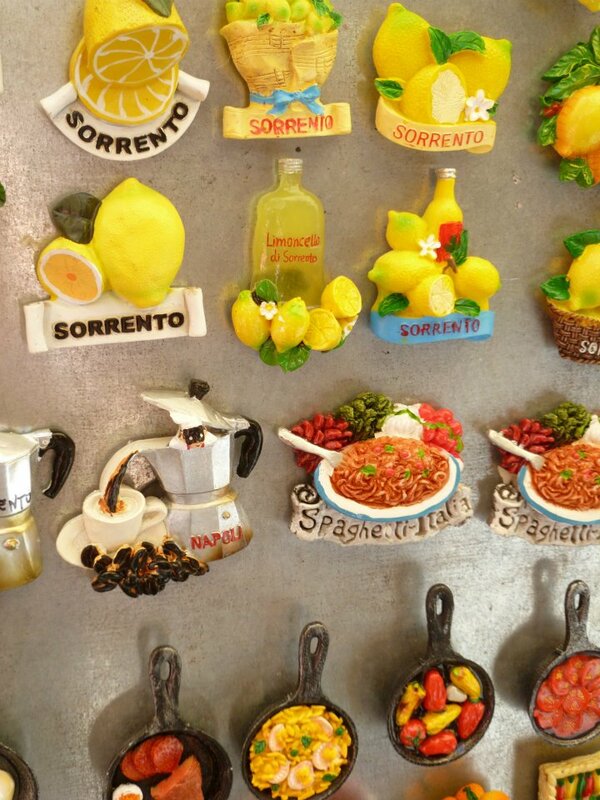 Here’s another perennial tourist favourite – the fridge magnet! Me and the better half collect the colourful little blobs of joy from everywhere we visit. The fridge looks like an explosion in a plastic factory. 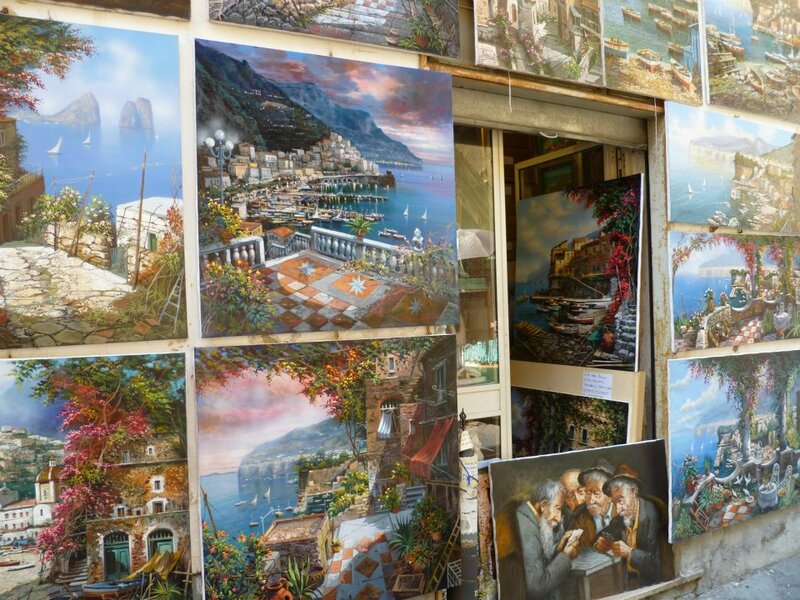 I utterly love the art shops in Sorrento, you can barely even see this one under the proliferation of canvas!! We stayed at Hotel Eden in Sorrento. It’s a hotel of two halves, literally! One half is recently renovated, lovely, fresh and clean, whereas the other half leaves a lot to be desired. It has a fab pool and is ideally located on the main square of Sorrento, but make sure to ask for a room in the newly renovated half!! 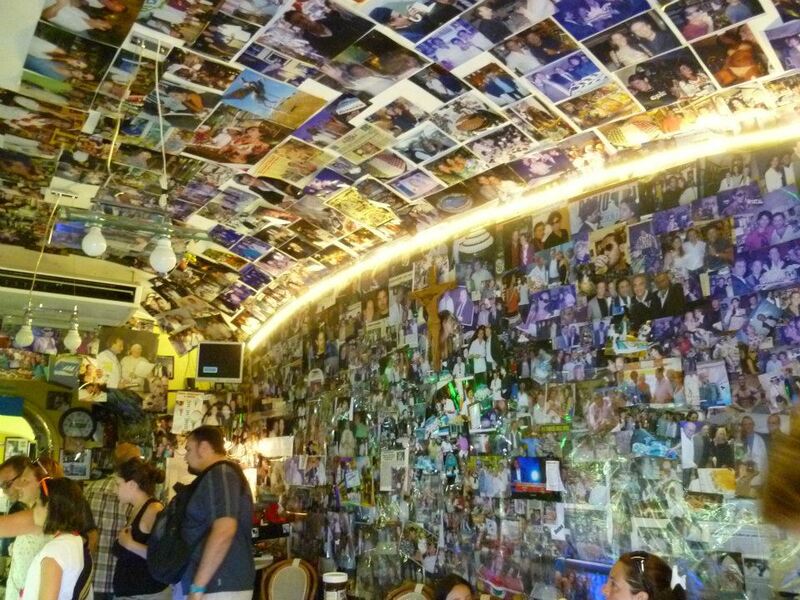 Here’s the coolest gelato bar EVER in Sorrento – so many flavours to chose from and plastered with celeb photos from the Pope to James Bond!! 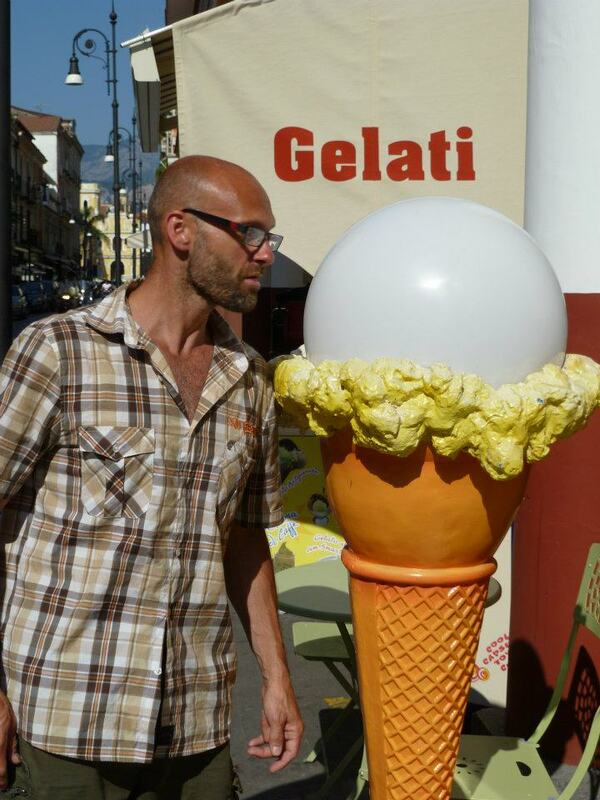 Here Neil investigates the finer points of Gelato marketing. Next up, a bus trip along the Amalfi coast to some fab villages and the epic but haunting spectacle of Pompeii . . . . 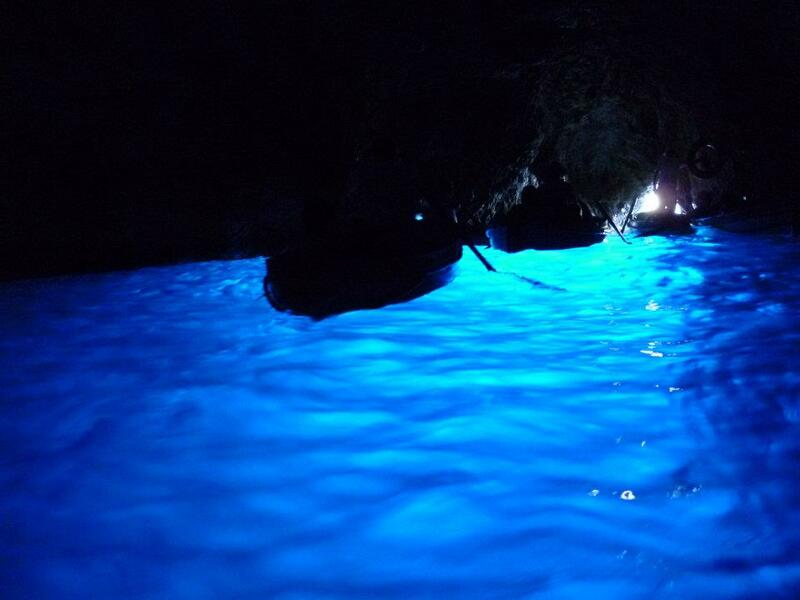 So Capri’s main attraction is the Blue Grotto, a naturally formed cave that is illuminated with a vivid blue light. You can access the cave via one of the many boat tours around the island but you will find yourself bobbing about for ages as you have to wait (along with lots of others) for the boat men to come and pick you up. 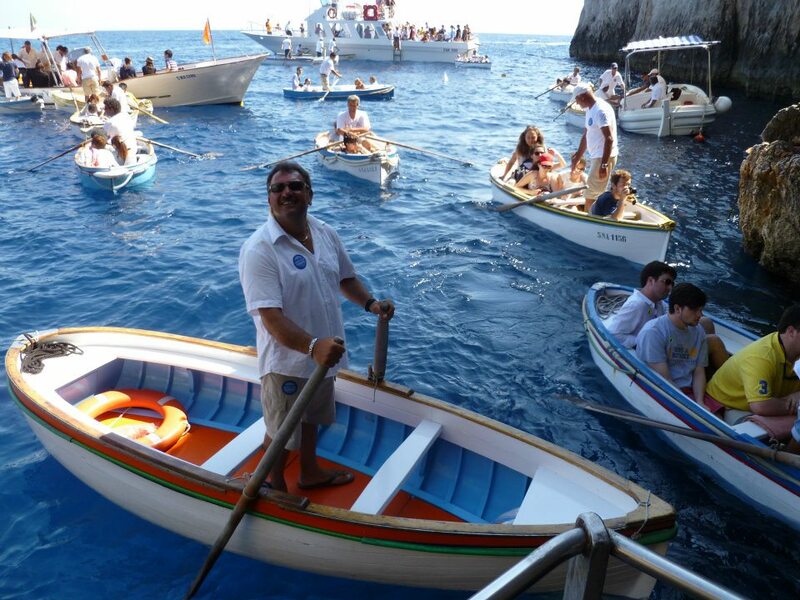 It’s much quicker to actually walk to the blue grotto, wait on the shore in a much quicker queue and get in there quicker! 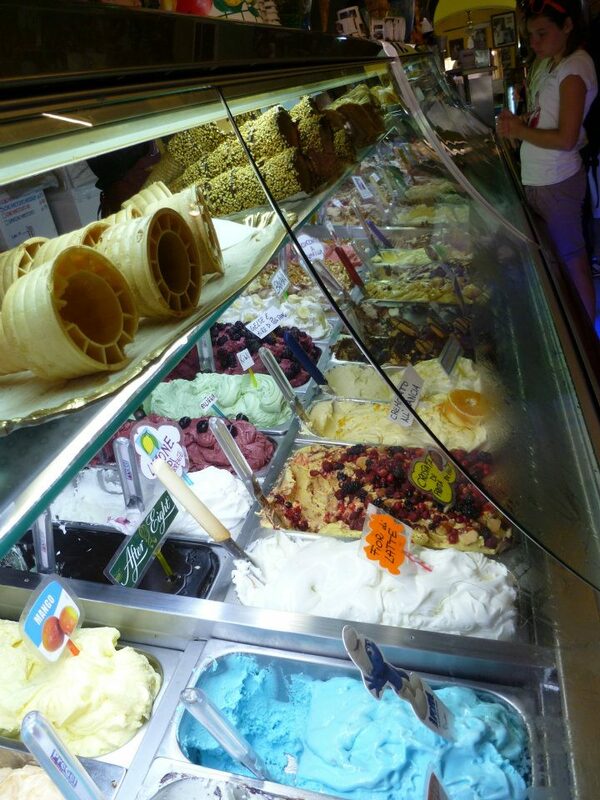 It is very expensive however – 12.5euros per person, quite a lot for what it is. But we were there so we had to see it!! Vivid blue inside the Grotto.